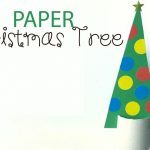 This paper bag gingerbread house craft is such a fun and festive way to celebrate Winter! 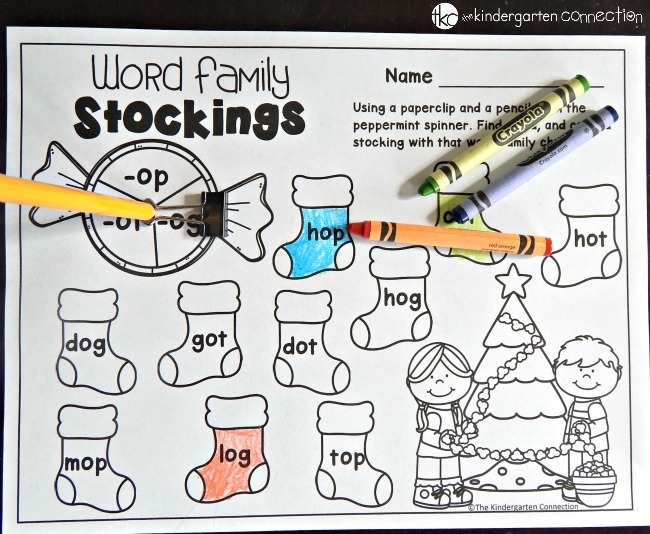 This holiday craft project is a great way for preschoolers, kindergarteners, or first graders to work on developing fine-motor skills, shape recognition, and following directions. 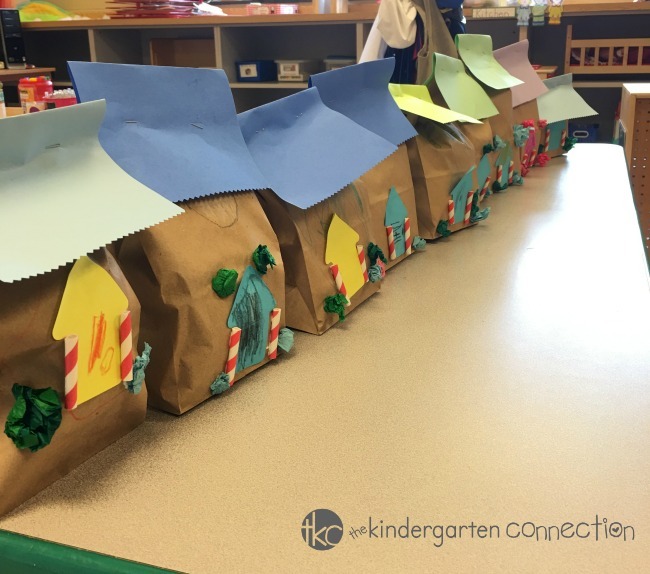 Each student can create their own house, and later line them up together to form a gingerbread village. Plus, this project is all the fun of decorating a traditional gingerbread house, but without the calories or sugar crash afterwards! 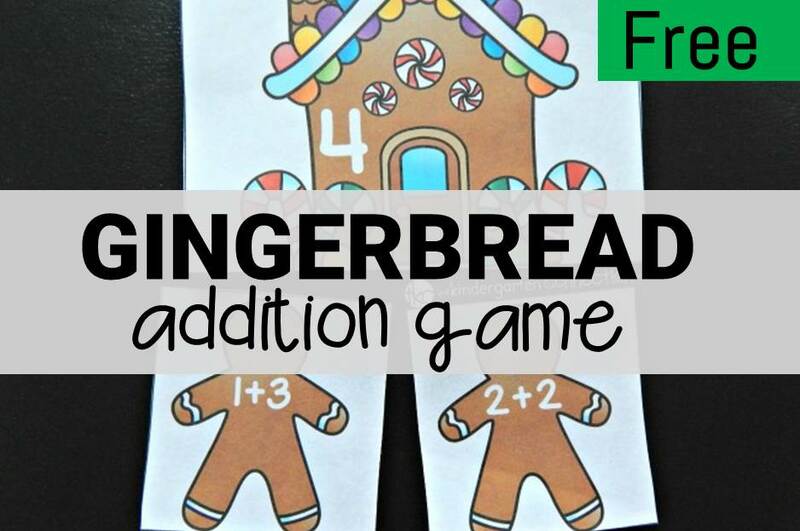 This activity is a fun extension to our Gingerbread Math and Literacy Centers. 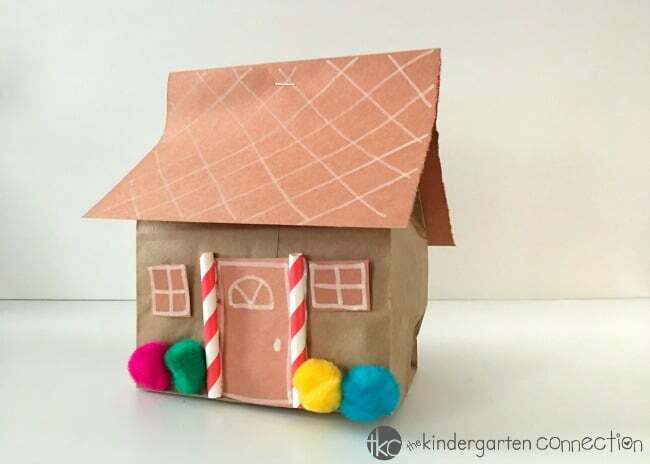 I love how each of these paper bag gingerbread houses look so unique! The students in this preschool class were so proud of their festive holiday creations. For very young children, teachers can help by pre-cutting the doors and windows. However, older students may like practicing their scissor skills. Invite students to carefully open the brown paper lunch bag, ball up a sheet of newspaper and place it inside the bag. Students can roll the top half of the bag shut. To make the roof, fold the half-sheet piece of construction paper in half. Optional — Students may want to decorate the rooftop with crayons or markers. (Adult – staple the roof into place). 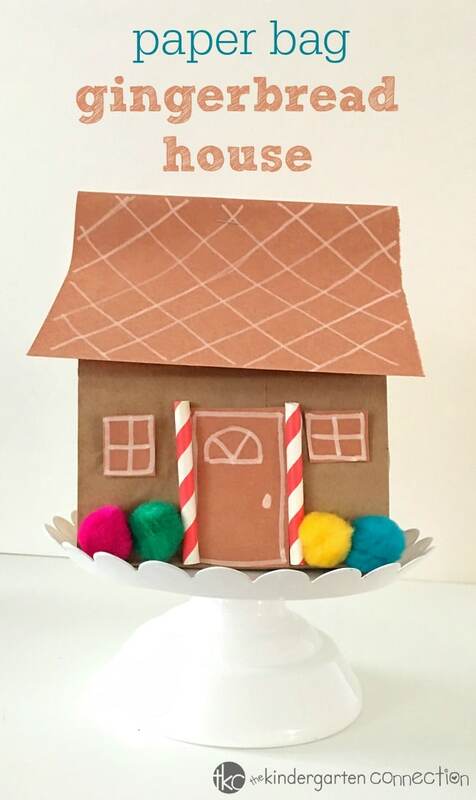 Decorate the house with striped paper straws (peppermint sticks), craft pom poms (gum drops), and construction paper doors/windows. Tip — No craft pom poms on-hand? Try having students tear small pieces of tissue paper and balling them up instead! Looking for even more fun and festive holiday ideas this Christmas? Here are some of our favorites! What a great idea! These are adorable! I will be making these with my kids.